At the front of most books there are several pages referred to as "Front Matter". These pages consist of the title page, copyright page, dedication, other books, table of contents, foreword, preface, and many others. The only required front matter is really a simple title page and a copyright page. 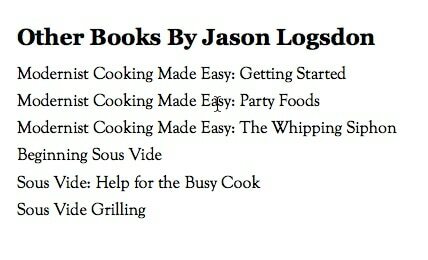 We give descriptions of the various pieces and provide basic examples below, but we highly recommend pulling a few of your favorite cookbooks off the shelf and looking at how they handle the front matter. 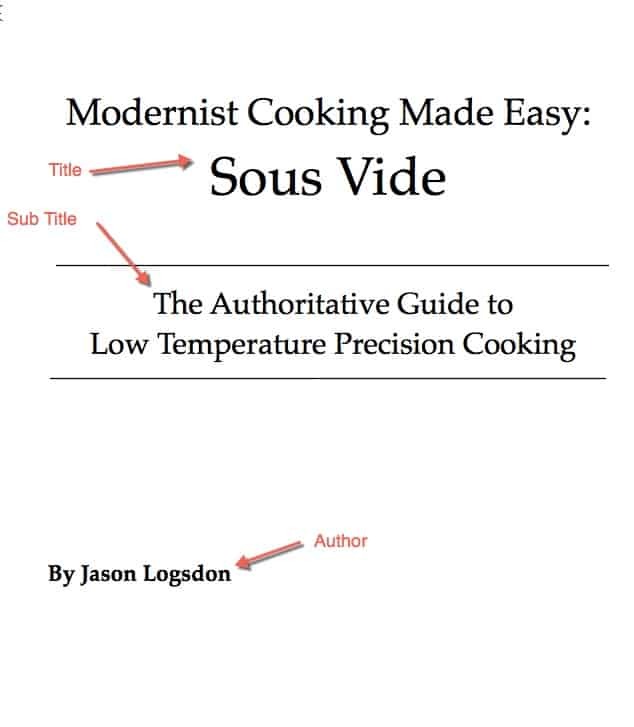 You can also download a sample of the front matter from my book, Modernist Cooking Made Easy: Sous Vide for an example of the order and spacing. The title page is the first page of your cookbook with text on it. It usually contains the title of the book at a minimum. It can also have the name of the author, the sub head, and sometimes an illustration or photograph. Some cookbooks, especially photo heavy ones, will have the title page span 2-3 pages and utilize nice pictures. The copyright page holds the copyright for your cookbook, your contact information, ordering information, your ISBN numbers, publication information, and any credits for design or photography. Your copyright statement can be as short as "© 2015 Your Name. All Rights Reserved." or as long as you want it. 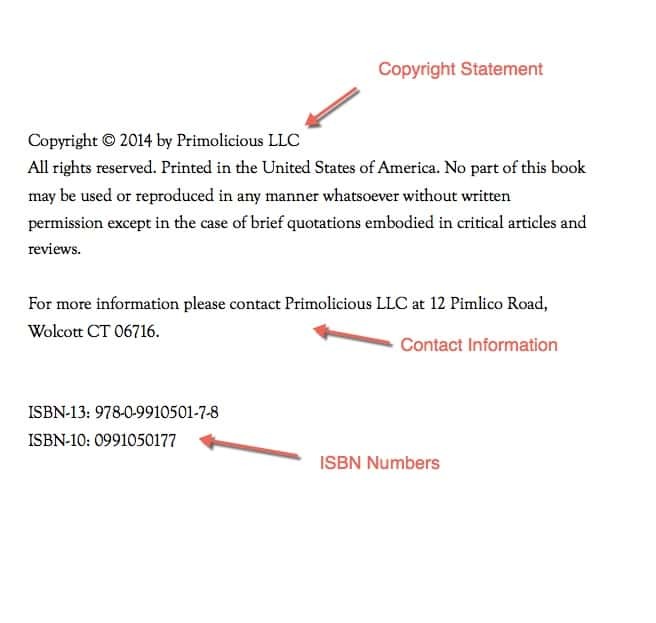 We always include a standard copyright notice, our address for people to contact us, and our ISBN numbers. For a good look at various disclaimers you can check out The Book Designer. The Other Books page allows you to highlight the other books you have published. This section usually consists of a title followed by a list of books you have published. If you have published under several publishers the books may be broken down by publisher to give them credit. The dedication is completely optional but it's a great way to thank someone that has meant a lot to you, either in the publication of the book, or in life in general. Many books lead with a quotation they like that applies to their cookbook or cooking philosophy. Make sure you have the right to use the quotation and are not breaking any copyright rules. Jane Friedman has a good article on when you need permission to use quotes. 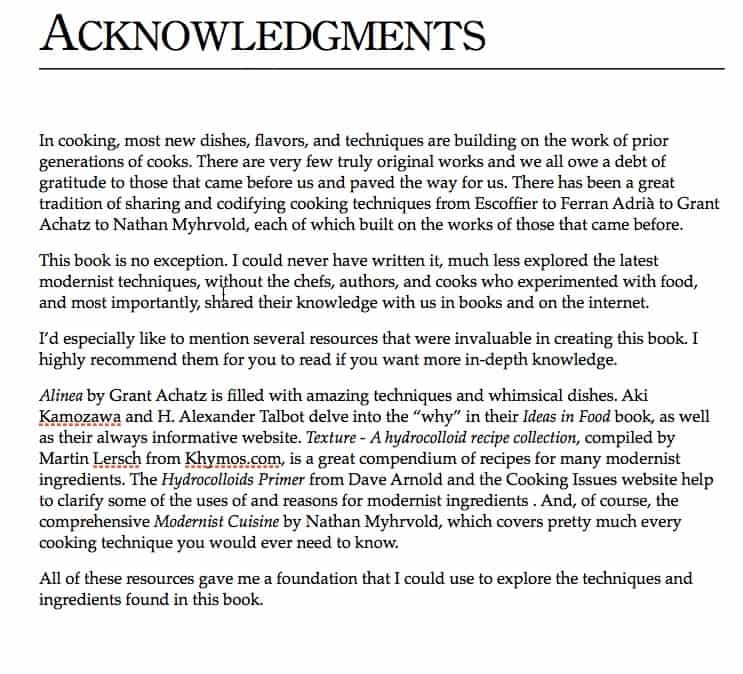 Testimonials about your cookbook, or other books you have written, are often added at the front of the book to help convince potential readers they should buy your book. Make sure you get permission to quote the people if you use their testimonial. Adding a section for acknowledging the people who have helped you with the book is a great way to give thanks to people or the community that has helped you. This could be anyone who helped edit, outline, or otherwise assist with the creation of your book or other authors or cooks whose work you greatly leaned on. The table of contents is one of the most important pages that your cookbook will have. It's used to help readers navigate your book as well as market it through the "Look Inside" feature on Amazon. There are many levels of content you can include in the table of contents. The most popular is to have all sections listed, all chapters, and the major headings in those chapters. Some also show the minor headings, but it depends how fine-grained you want your table of contents to be. 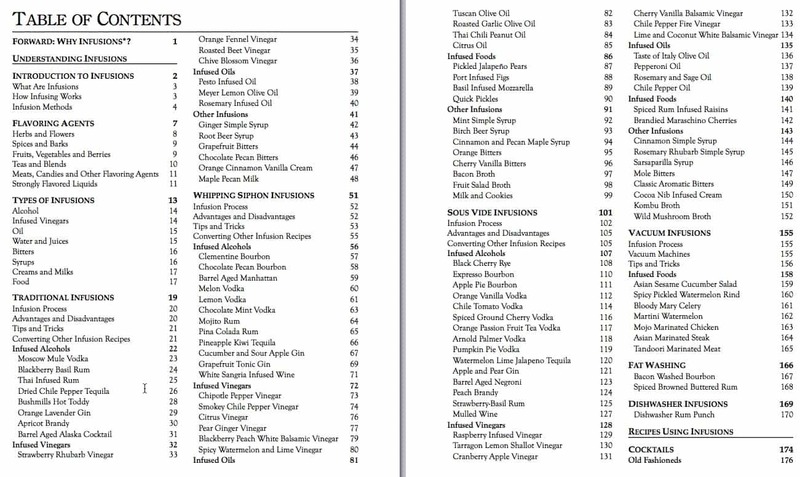 We also recommend including all recipes in the table of contents. That makes it much easier for your reader to skim the recipes and find specific ones. 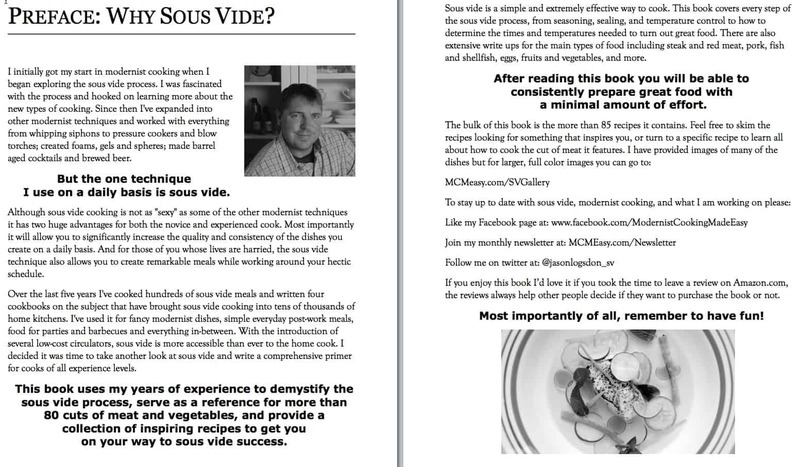 It's also great for the "Look Inside" feature as it will show potential purchasers all the recipes your book contains. The table of contents normally goes right after the other front matter like the copyright page, dedication, and "Other Books" page at the front of the book. It is often the first page of real content, before the first section of the book starts. The foreword is an introduction to your book written by someone else. This can be done by another author or a cook or chef you are familiar with. It usually talks about why you are qualified to write the book and what they particularly liked about it. 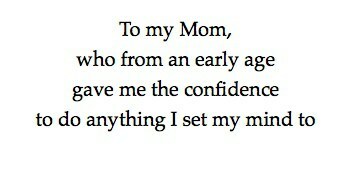 The preface usually talks about why you wrote the book and what you are trying to accomplish with it. Since the preface often shows up under the Amazon Look Inside feature, it's a great place to market your book to potential readers by explaining what you hope to cover in it.